A candle lit room on a cool fall night is a perfect setting for magic to happen. This is an easy d.i.y. 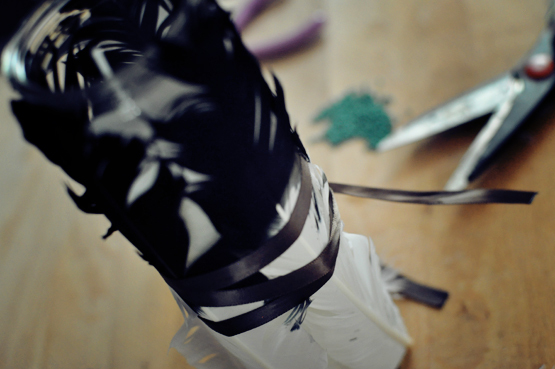 with inexpensive supplies that takes little skill or time, but results in something natural and pretty. 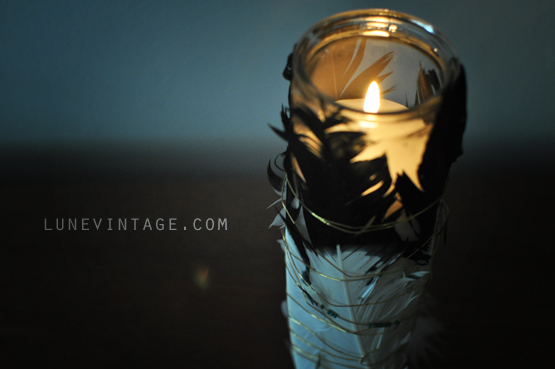 Here's what I used to make this light as a feather candle. 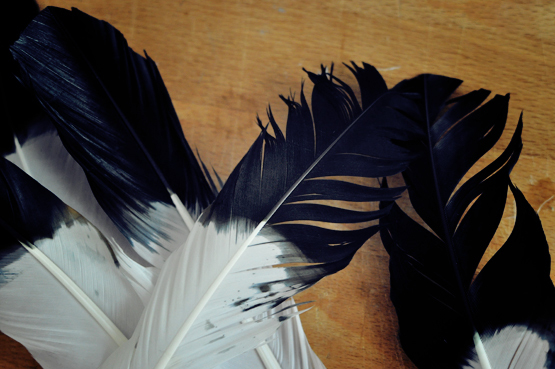 With your fingers, pull the plumage outward and create a wider fan. This accompishes two things. It covers a wider surface yet still allows you to see the flickering flame within. 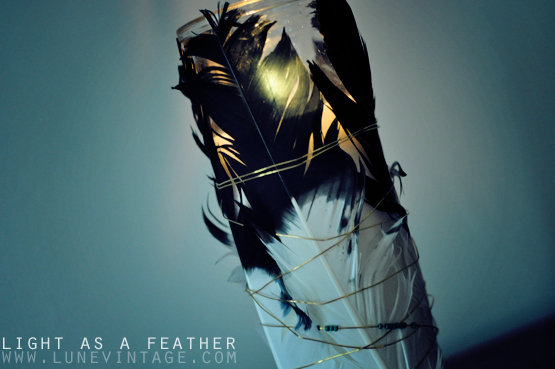 Using this method, I only had to use 5 feathers to cover my votive. 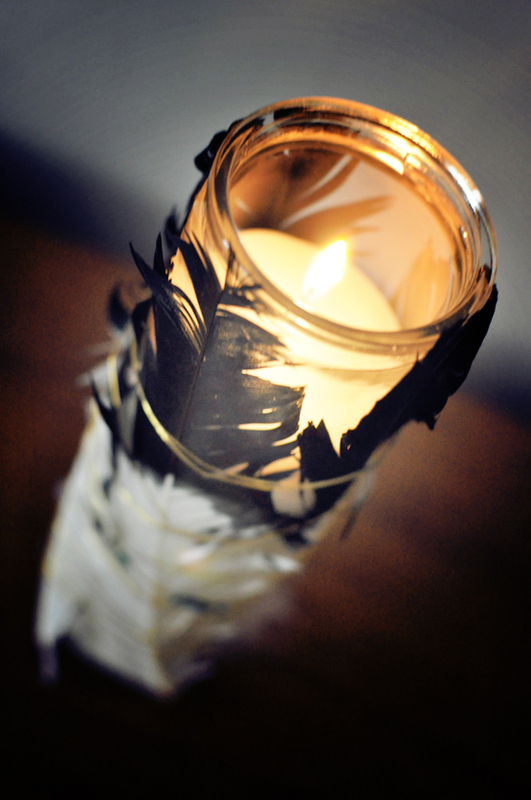 Wrap your glass votive with 2 bands of double sided clear tape. 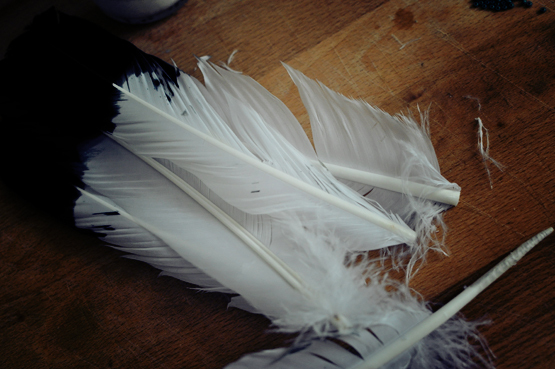 Place feathers, press and secure with a peice of string if you need some extra re-inforcement. You'll be cutting this off later so it's fine to use a scrap. 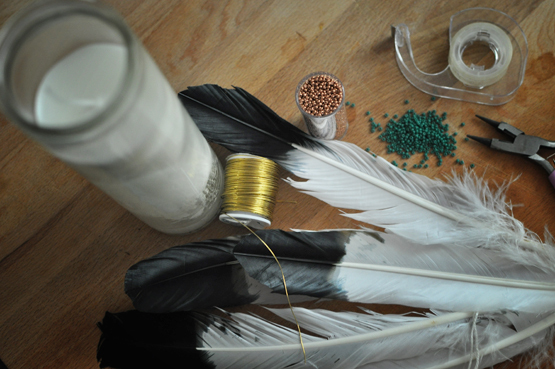 Wrap the entire feather covered votive by first twisting as tight as possible and then wrapping 3/4 of the way up the votive and back down. 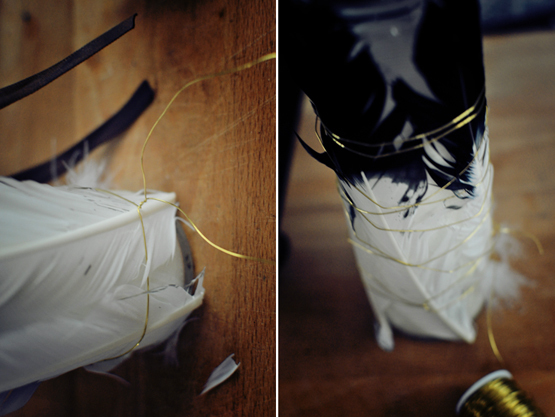 Once wrapped, snip any string you've used to hold your feathers down, the wire will do the work now. Slide seed beads along the wire and space in groups for a bit of color. That's it! An easy way to decorate a fall table, or a lonely windowsill. Enjoy the quiet enchantment of early fall.